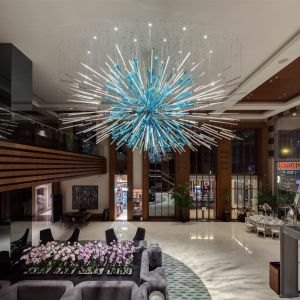 The Divan Hotel Adana, is centrally located in the Seyhan district of Adana, and is the newest and most popular five-star hotel in the area. 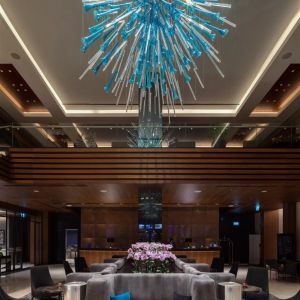 The hotel combines stunning architecture with stylish interior design. 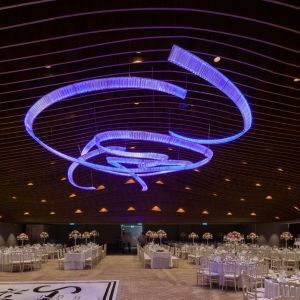 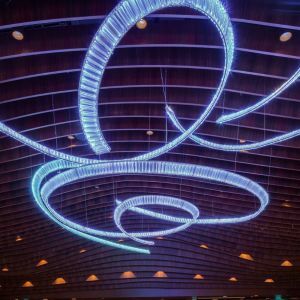 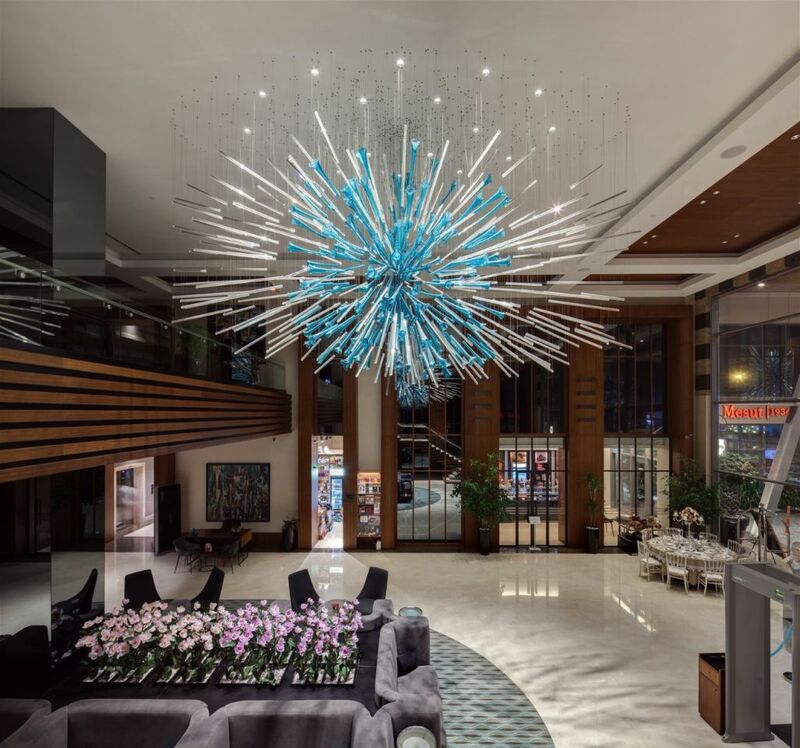 Preciosa - in collaboration with Emre Ozer, from the architectural studio Ozer+Tulgan, based in Istanbul - designed, produced and installed lighting in the Hotel Lobby and the Ballroom. 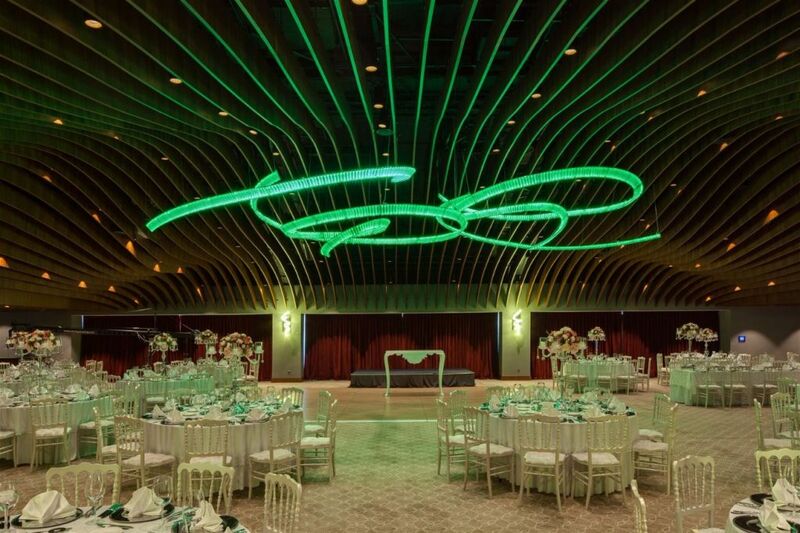 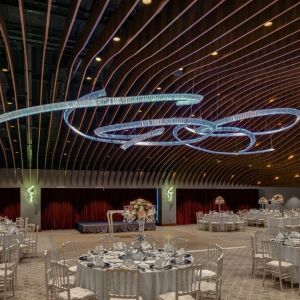 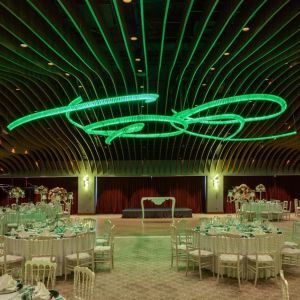 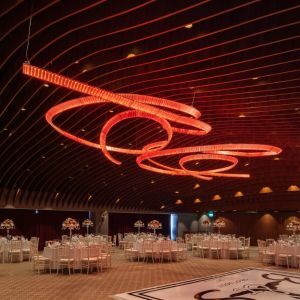 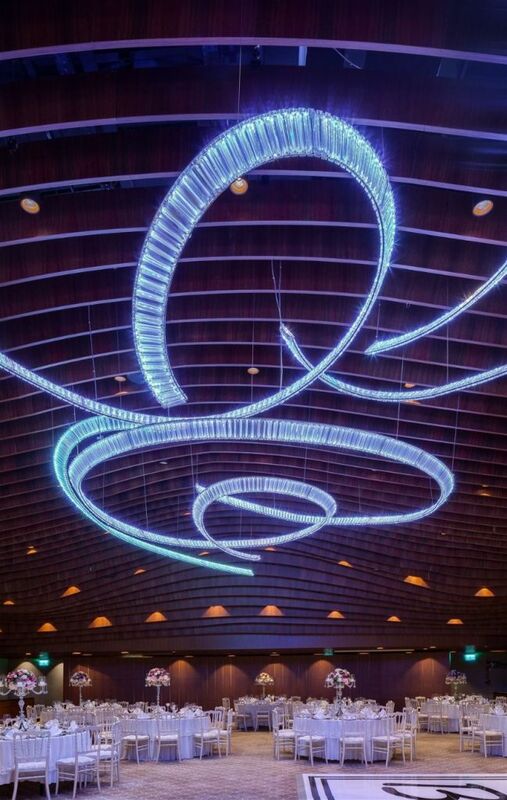 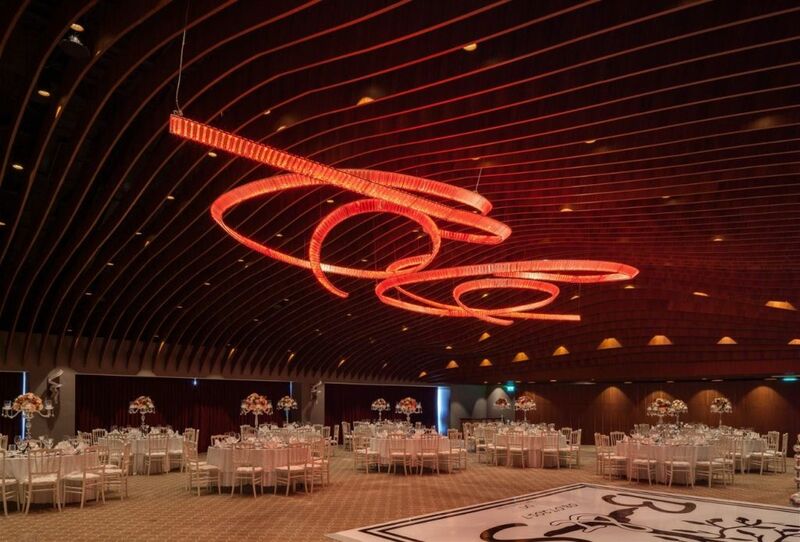 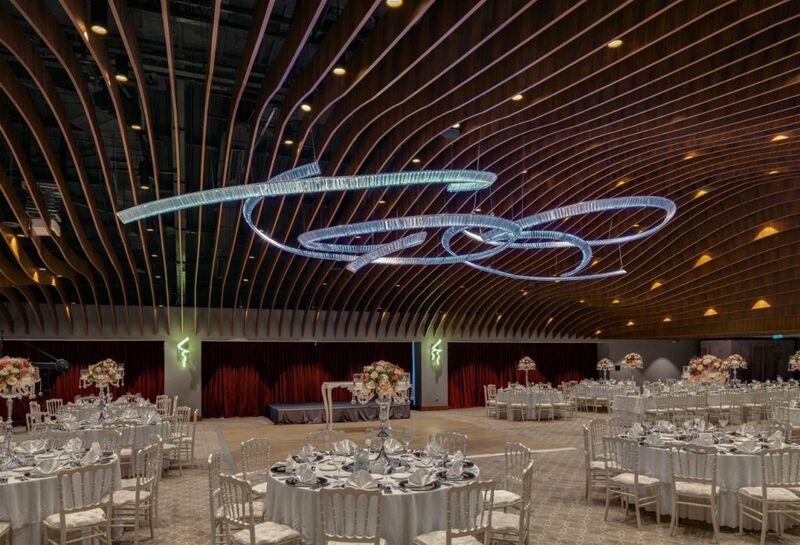 The monumental horizontal rendering of the InSpiral concept – designed by Preciosa Design Team – dominates 555 square metres of the ballroom ceiling. 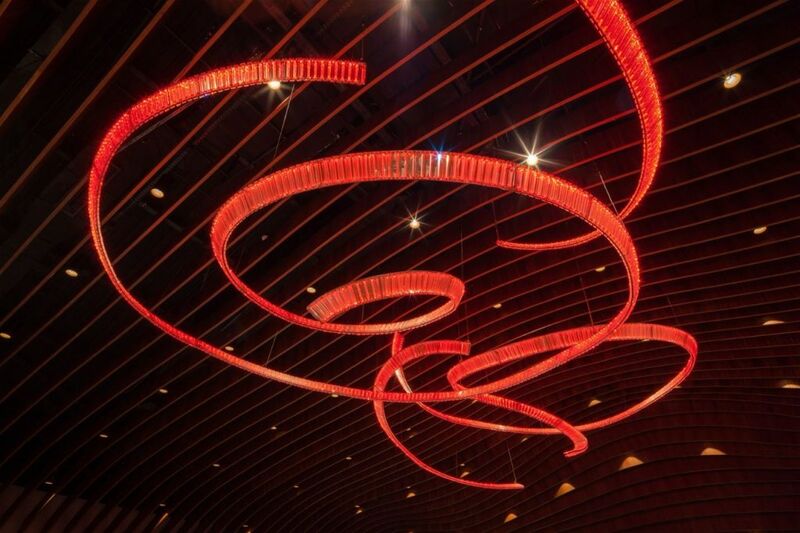 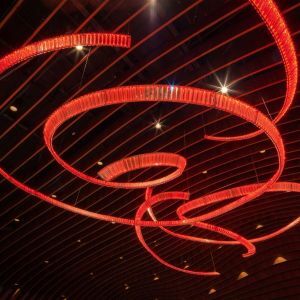 The spirals consist of perfectly cut crystal prisms, hung within a steel ribbon, which resemble the movements of dance in their dynamics. 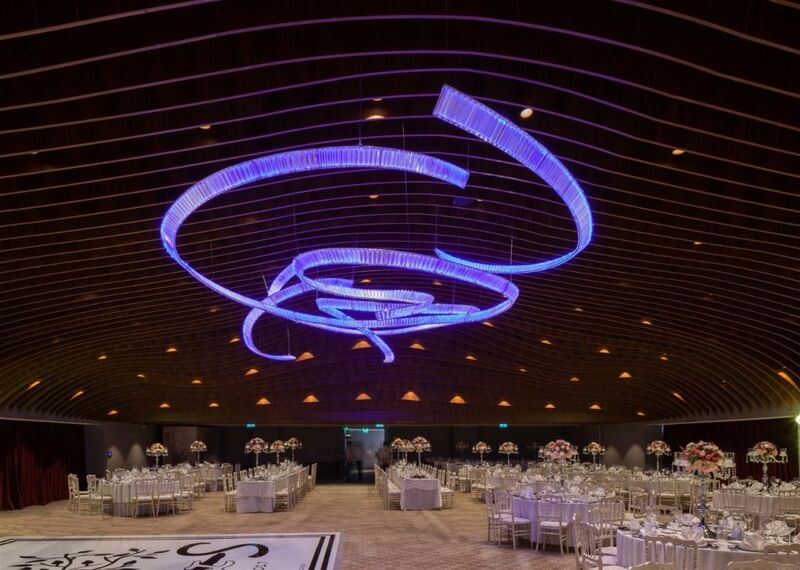 This impression is supported by illumination from RGB LEDs that change colour, giving the whole installation a sense of movement and fluidity. 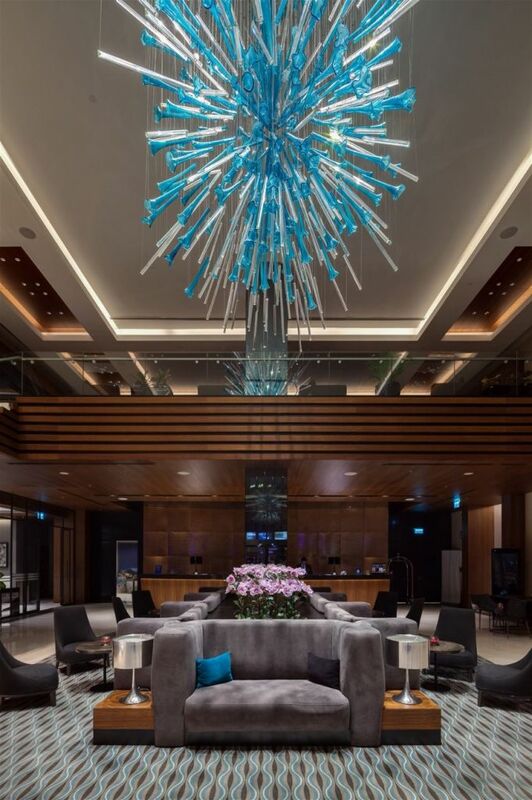 When entering the Hotel Lobby, another beguiling composition commands attention – comprising of suspended glass components - aqua marine hand-blown crystal glass funnels and triangular glass rods of clear colour.